BOTTOM LINE: A story of strength and love in the wake of prejudice and disease. Tea at 4 opens with Ruth (Lauren Grajewski) taking over hospice care for Catherine (Melissa McKamie) in the late 1960s. The two women have a clear connection and strong love for each other, and as they spend their final day together, the audience gets a view into their past and their fight for love. Tender scenes of Catherine’s last day as they struggle to hold it together and focus on their love overpowering illness are interspersed with scenes exposing their past and the prejudice Ruth faced for her Jewish heritage as well as her sexuality. The time jumps are occasionally jarring and confusing, but excellently create the harsh reality a lesbian minority couple at that time would likely have faced. Catherine, a naive girl born into privilege, successfully attends Bryn Mawr University, whereas Ruth, a girl from an orthodox Jewish family, is kept out of schools like Bryn Mawr because of her background and attends Hunter, a college known for its Jewish student body. Ruth then begins a constant struggle of finding a job that will accept her despite her bloodline, a struggle most markedly noted in a scene where she interviews for a job at an elite girls' school. Her interview with the snooty headmistress, brilliantly portrayed by Megan Rose, shows firsthand the stereotypes faced by people with a Jewish background. 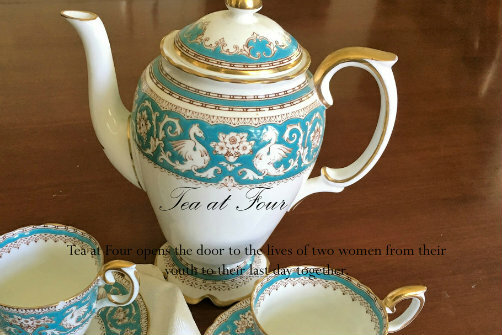 Both Catherine’s and Ruth’s lives change forever when they meet in a china shop where Catherine takes an interest first in a cup Ruth is holding, and only seconds later in Ruth herself. As Catherine and Ruth, McKamie and Grajewski have electric chemistry, and watching their relationship blossom from its first moment to its last is indeed heart wrenching. Megan Rose’s appearances as various characters throughout the past and present bring to life the closed-mindedness of the time; she makes each character strikingly different and breathes new life into the story with every scene. All three talented women create the most unusual of love stories and give the audience an intimate view of the constant flight between staying true to oneself and living in society. Tea at 4 is written and directed by Tony Divaney Morinelli. Lighting Design by Travis McDonnell. The cast is Melissa McKamie, Lauren Grajewski, and Megan Rose.